Articy, XML, and LINQ, oh my! I’m really excited about using Articy Draft for my next project. The biggest issue with it for me is the tool chain. For sure you can buy Articy Access but unless they’ve changed it, it’s about 1700 Euros per project. and it requires the server version of Articy Draft which is way more pricey than the single-user version and more work (I assume) to set up and maintain because of the server component (which I have no need for). So price wise it’s sort of too expensive on several levels and waaay more complicated than I need. Honestly, with the zillions of Unity devs I don’t know what the Articy folks don’t make a simple adapter for getting their XML into Unity themselves, aimed at users who are using the standalone Articy. First DUMB thing I ran into is that at least for Unity 4.2 you have to hunt around the Unity installation to grab the proper assembly for System.Linq and drag it into a plugins folder in your Assets window. It’s about 100 kB but for sure I’ll have to remember to remove it before a final release build. Sigh. Really doesn’t make sense that I can’t use that in an Editor-ish class but I understand why. I was able to personally observe hundreds of people use Numberheads during the Casual Connect conference last week. I was surprised to find that about 25% of people didn’t recognize the cartoony numbers used in the game as numbers! This was unexpected and needed to be dealt with. I spent a long weekend adding a “skin” capability to the game; allowing players to choose the toony numbers or normal numbers (with the normal numbers being the new default). This is now resting at iTunes Connect waiting for review and release. One of the things an iOS developer needs to do is to capture screen shots for iTunes connect. Another is to create a gameplay video. They’re both annoying tasks. Screen shots from an iPhone or iPad mean that you have to be able to play your game and also be able to press the front panel button and the on/off button at the same time. You need four hands. Maybe your game’s hero or a NPC has four hands, but you don’t. It’s a P.I.T.A. Trying to capture a gameplay video ought to be easy. Theoretically you can use AirPlay to stream your game to a PC or Mac using one of several programs that will capture your video and save it to a file. While I’m not going to disparage any of these programs, I did try the most commonly-used one and found the results to be sketchy. The problem is that you’re doing this over your wifi network and I was never able to get a video that would be visually glitch-free for more than a minute or so. So I started to look for hardware solutions. Fortunately, Apple sells adapters (cheaper on Amazon…) that let you connect iPads and iPhones to HDMI. 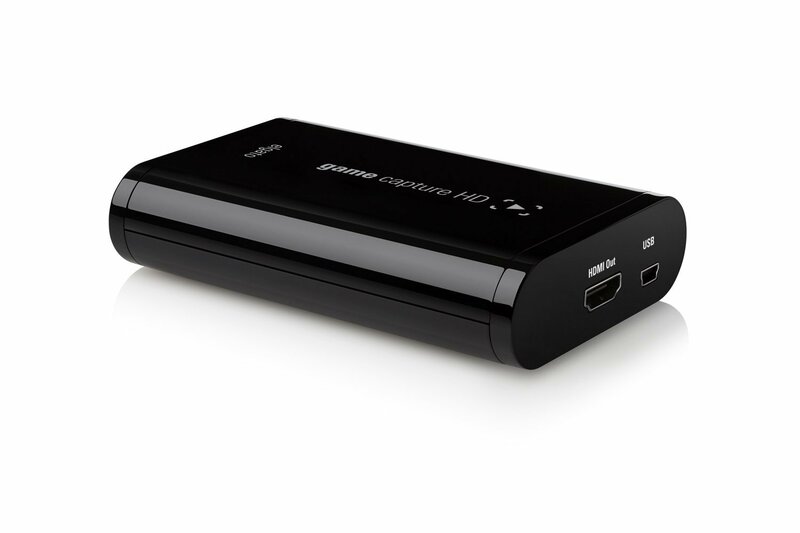 Web-searching and review-reading led me to the Elgato Game Capture HD. It had mostly good reviews on Amazon ( http://amzn.to/15xHwru ) and to make a long story short, I found it to be a great solution for BOTH the screen shot and video tasks. It’s not cheap (currently about US$ 160 on Amazon) but if you value good results and not wasting your time then it’s a no-brainer IMO. My experience with it was total plug-and-play. You install the software, plug one end of the USB cable into your PC and the other end into the Elgato unit. You plug an HDMI cable between the iOS device AV adapter and the Elgato unit. I didn’t test it only my Mac Pro but it’s allegedly designed for both Mac and PC. The software shows you an view of whatever your iOS device is displaying. There’s a delay of a second or two but that’s neither surprising or any sort of issue. The delay is constant so it’s processing and not buffering, which is exactly what you want. There’s a setup page where you can set options like quality, matching aspect ratio for iPad or iPhone (or Xbox or PS3), and so on. Then you just click a big red record button. When you’re done capturing, the software takes a few minutes to produce the output file. The Elgato software does have a video editor and that does appear to let you save a screen shot. I created my videos and screen shots using Adobe Premiere Pro CC. So I can’t comment on the Elgato software editor. Whatever software that you want to use to work with the video, the Elgato box was able to save a 10 minute video from an iPad 3 without a single glitch or visual artifact of any kind. And that’s great! Here’s the video. OK, it’s not Hollywood…. No posts since May 6! Chalk it up to literally not being able to use my right arm as it more-or-less locked up. Imagine it hurting to put your right arm in the position needed to use your mouse (actually, a trackball for me) and likewise keyboarding was impossibly painful. Try rolling over to the right during sleep and waking up in pain several times a night. Torn Rotator Cuff was the initial diagosis. Some Tramadol-based pain killers added to the recipe and I couldn’t think straight enough to code (much – I guess I’m addicted to code 🙂 ). Arthroscopic shoulder surgery on June 12 left three tiny scars and cleaned the mess up. But then comes the Vicodin. Try working while taking 5 of those a day for a week or two. It’s hard to focus on daytime TV much less write C# scripts. By last Tuesday (June 25) I was more or less out of the haze; still a bit fuzzy but doing a little work. Then I ate spoiled Salmon that night. I didn’t get better till Sunday. I’ll leave out the details. And it’s all the more frustrating given that Numberheads 2.2 was almost ready for App Store submission. Mostly incremental changes this time and mostly to the UI, although there are some minor bug fixes and a new DEMO game selection where the game runs itself so you can see how to play it. I created the Demo game for trade shows like Casual Connect San Francisco 2013. That way I can have an iPad running automatically and displaying the image on a TV monitor so I can talk to people. Even though I personally like the game even after thousands of hours playing it myself, I can’t do it all day for 3 days in a row. I’ll be at the Indie Prize pavilion (?) along with a lot of other developers. Not entirely sure how Benign Games got selected to compete for the Indie Prize; I didn’t even apply. Clean living? Next I want to do a mini review of “Unity Shaders and Effects Cookbook”. I skimmed it and it really looked promising. Keep tuned to this Bat-Channel! 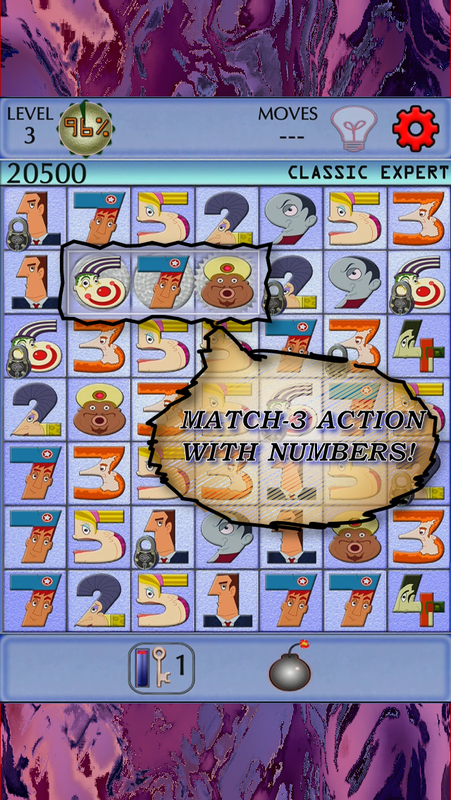 A gameplay video is really a lousy way to demonstrate a game like Numberheads. But if you check out this page you can play it for free. For ten minutes, anyway.